You can earn 15% commission for simply recommending our products. We’re a new company creating educational materials for the theory test. We help learner drivers turn their licence from green to pink. 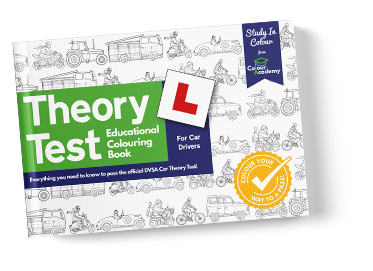 We created the first educational colouring book for the theory test, helping learners memorise more information, faster. As a new company, we need as much help to reach learner drivers as possible. If you help us reach new customers, we’ll reward you with 15% of whatever they spend. Your students get a discount as well! The only rule: You must be a registered driving instructor to apply. There is no monthly targets, quotas or required purchases of the book. More students through the theory test means more students ready for the practical. Lack of confidence affects practical driving skills. More knowledgeable students are more confident students. Our way of saying thanks for telling people about our books. We’re pretty new to the scene and getting discovered is our biggest challenge. Sign up using your email account with the button below. We’ll contact you to arrange a unique promo code you can give to your students. 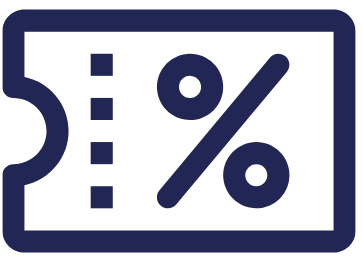 Every time students use your code, they’ll get money off and you’ll receive a 15% commission. 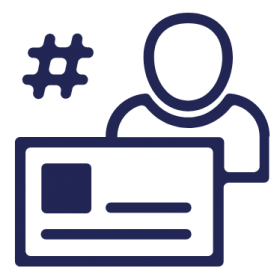 After you register, you’ll be given access to your affiliate dashboard. From here, you can enter your PayPal account information and access your unique referral code. We’ll also be in contact to arrange your unique promocde. If students use either your affiliate or promo code(s) to purchase books from our website, you’ll earn a 15% commission. We’ll pay your commission once a month, provided you’ve met the threshold of £15. If your commission for that month is less than £15, we’ll bring it forward to the next month. Your commission will be 20% of the basket total at checkout, excluding shipping and tax. For example, If somebody spends £28 (£28 for 2 books and £1 for first class shipping) you will receive £4.20. We use PayPal as our mass payment provider, it’s a fast, secure and easy solution to get paid. You will need to have a PayPal account to receive payment. We will pay once a month, provided you have at least £15 in commission. If you have less than £15 your commision amount will be brought forward to the next month. Do I Need A Referal Code? Yes, your students must use your referral code for you to get a commission. You will be given a referral code after you create an account. If you already have an account you can find your unique referral code under the ‘affiliate links’ tab. Can I Purchase Books Wholesale? Yes, our products are available wholesale. If you have a wholesale inquiry please contact us. Can I Get Free Marketing Materials? In the future, yes. We plan on creating and sending you free marketing materials in the future. However as this scheme is brand new we are currently testing to see it’s effectiveness. We’ll review this option in the summer of 2019. Will I Earn Commission if Students Purchase from a Bookshop? No. Students must purchase their products on www.colouracademybooks.com only. We design, publish and sell educational products that help learner drivers turn their licences from green to pink. We create products specifically for visual learners, you can read more about us, check our company FAQ’s or contact us to find out more. We don’t bite!